It’s been just over a month since i’d posted the previous entry my dev-Journal for my w-i-p flash game Telc Blast (working title), as i’ve been rather occupied talking about spam, wall-Chicken, and various other twistedness, but now we’re back at it again! Being a MegaMan /ロックマン fan, i’d originally planned on making the game a 2D platforming shooter, and had even played some MegaMan2 (technically the Rockman Complete ロックマン2 Dr.ワイリーの謎 version that is available on PSN) for some reference; we tend to be inspired by what we like after all. I’m currently still stuck on the Wily Machine (UFO? ), as this game is rock-hard. Later, i’d changed this to a melee-attack, hence the “melee-01” pose in the image above. Thus, aside from my opinion that the Castlevania series contains some pretty friggin’ fun games, i’ve recently been playing both some Castlevania II: Belmont’s Revenge and Castlevania: Order of Ecclesia (released 2oo8 on the Nintendo DS in NA regions) for reference. 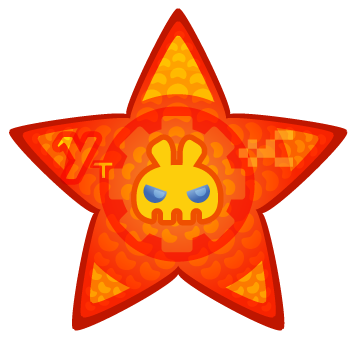 Should you care to read about some other opinionated rants regarding some specific game elements from the aforementioned series, such as Robot Ride Armors and wall-Chicken, then click the red links in this sentence. 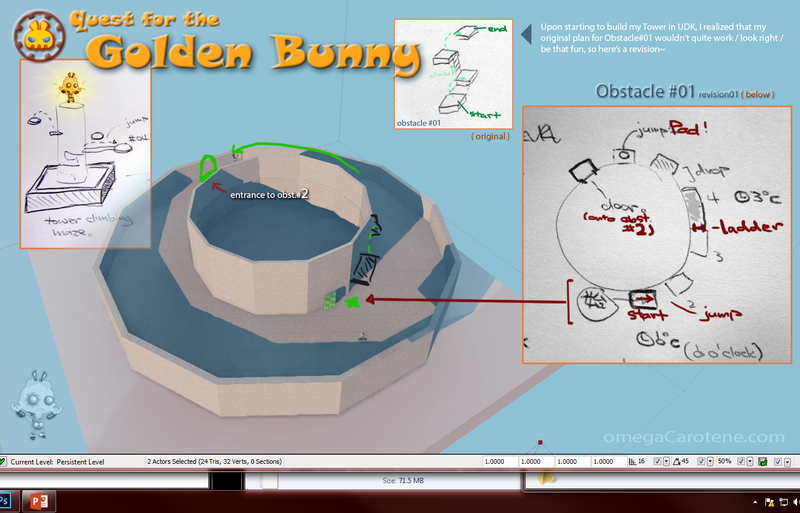 So…here we start off my Development Journal for my w-i-p flash game Telc Blast . Okay, so it’s kind of a lame name that doesn’t quite sum up my concept of the game (a 2D action-adventure platformer), but it’s a a working title. 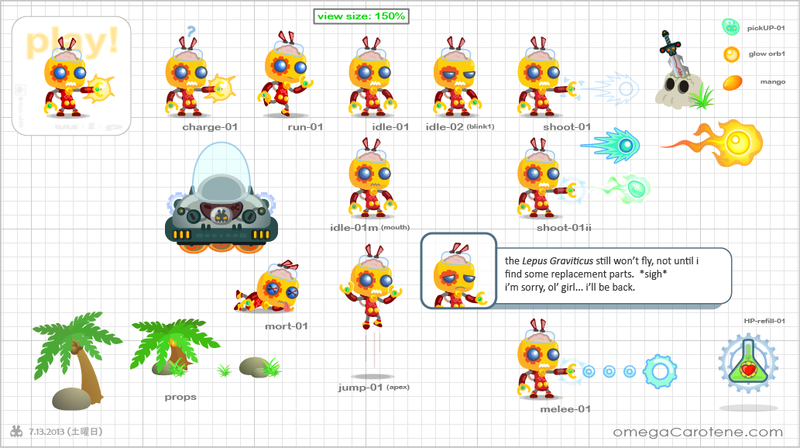 The above dialogue box refers to the events of what starts off the story of the “evil” cyborg-bunny dr. julius “oC” telcihc‘s (pronounced tell-sik ) adventure: our protagonist’s trusty space ship, the Lepus Graviticus , has crash landed on a alien planet covered with vast, lush jungles and inhabited by the Daucus, a warrior race of carrot-like creatures. telcihc must traverse the terrain to find several of the Graviticus ‘ parts (which had broken off during its fiery descent), in order to repair his damaged ship and return in time for dinner and maybe an episode of the show LOST …wait, does this overall plot sound familiar to you? being stranded on an alien planet, a broken ship and missing part, carrot-like natives? Did someone say Pikmin, Nintendo’s delightfully charming take on the RTS (real time strategy) genre? Right you are! Well, it’s like they say, if you’re gonna crib something, at least crib from the best. And i’ve been following Nintendo since i first started slaying Dracula’s hellish minions in Castlevania II: Belmont’s Revenge at the age of 12. Okay, so that was Konami-developed, but it was exclusive to the original gray-brick of a GameBoy, with Christopher Belmont and the beautifully detailed backgrounds displayed in all the glory that 4 shades of gray could muster on that cabbage-green, 160×144 pixel resolution LCD screen. In retrospect, that thing was so heavy with 4 AA batteries that it probably would’ve broken the floor if one had dropped it. Yet, regardless of Nintendo fandom and all, i still have yet to acquire me a WiiU…hmmm… that needs to be rectified soon… like maybe when the next Zelda comes out… But what were we talking about again? Telc Blast, right. There’s that old saying, that there’s nothing new under the sun. So i shall revel in my cribby-ness. Yet, as i am building this as a 2D platformer in Flash, there is already that distinction. And unlike the tiny Pikimin, who make up the protagonist Olimar’s army of cute-but-deadly head-bangers, the Daucus are the enemies in Telc Blast …or so they seem. 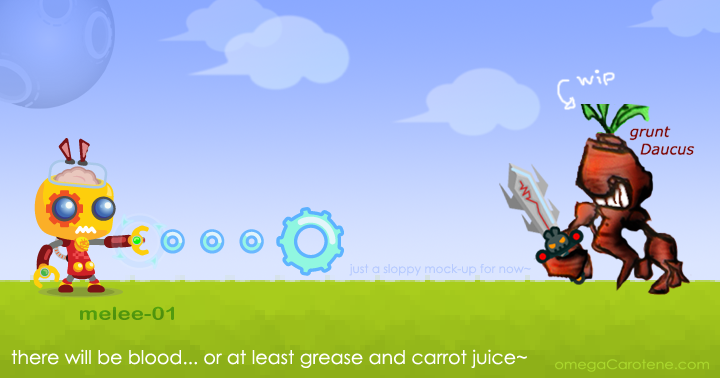 Suffice it to say that there will be bunny-on-carrot violence, albeit in a cartoony way. Really, as if the gameplay in Pikmin isn’t violent: similar to an army of colorful ants, your floral legions of Pikmin swarm the local fauna and beat them into submission with their cute, leafy/flowery heads, all while slave-driver Olimar stands at a safe distance, whistling battle commands…but, then, that’s part of why i like the series so much (does that make me a bad person?). One could argue that the relationship between the stranded astronaut and his flowery followers is a symbiotic one, but that’s a discussion for another day (or feel free to comment! ^-^ ). So, back to actually creating my Telcihc game, rather than all this blogging!